Twitter: @FleurHitchcock - One of the judges of the 9-12 section of the Hot Key Young Writer’s prize, people might like to take note of my middle grade choices!!! Favourite books for young people? I couldn’t possibly, I thought, how can you pick one? Night Birds on Nantucket. I was devastated when I finished reading this aged 8, and even though I read Joan Aiken’s other stories and enjoyed them, they couldn’t deliver quite the terror and excitement of Nightbirds. Maybe it was the first Dido Twite book that I read, and so the novelty of the inventive slang and the rich descriptions had greater resonance or maybe I was exactly the right age. It wasn’t the first in the series, and the series is very loosely linked, but I still think it’s the best of her very good books, all of which I’d recommend. 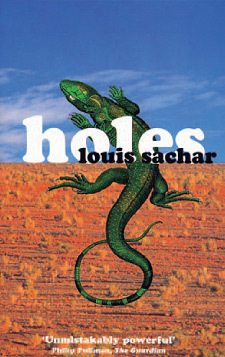 Holes. I read this one hot summer and felt every scrap of Stanley Yelnats’ discomfort. Probably the most beautifully constructed book I’ve ever read, it tells the story of wrongly convicted Stanley, and his incredibly roundabout release from the awful Camp Green Lake. Apart from being funny, and scary, and so, so neat, it also has one of the best first lines ever: ‘there is no lake at camp green lake’, and one of the most unpleasant villains in children’s literature. This is a middle grade book, but I can’t think any adult wouldn’t enjoy it. The Secret Henhouse Theatre. 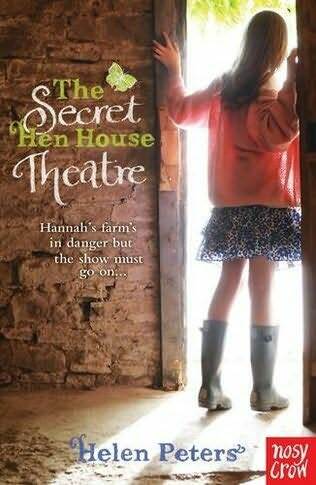 It’s a common tale, children get together to raise the money to save the farm, although it doesn’t quite come out that way and Helen Peters steers away from the Enid Blyton path, by making the book harder, and more bruising than the books of my childhood. It’s well written and emotionally close up, so that the central character is sitting on the reader’s shoulder all the way through, and the words play out like you’ve slipped into a movie so that although you should probably linger, it’s a really quick read. National Velvet – worth reading just for the prose. Exquisite writing. The Mouse and His Child – again, beautifully written, a strange poetic journey, about the tiny mechanical mouse attached to the tin mouseling. The creatures they meet that both help and hinder them are vividly painted and their adventures full of peril. I loved it when I was a child, and when I read it again recently, I was amazed by Russell Hoban’s use of language. Framed. This book makes me laugh but underneath the humour and misunderstanding lies great warmth and heart. 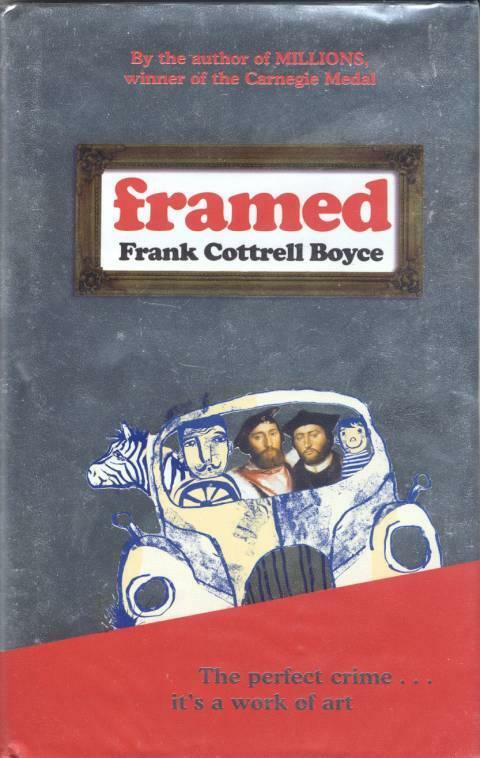 I don’t think anyone else gets near Frank Cottrell Boyce’s love for his characters, and the way he fuses hope with the misery of things beyond a child’s control still really impresses me. The Graveyard Book: Of course it’s a favourite, but I do like the cemetery so much more than the fantasy scenes. Artichoke Hearts. This is on the edge of YA – but strays into that place between childhood and teenage with huge sensitivity. Absolutely the best children’s book I’d read in ages. Sky Hawk: Written by my contemporary from Bath Spa on the Writing for Young People MA – I saw the very beginnings of this book, and Gill’s passion for her subject infuses the writing, but not at the expense of characterisation or atmosphere. It’s a cracking read and yet full of carefully considered description. And it makes me cry, which is always a plus. And, And And..... But I’ve run out of words. Born in Chobham and raised outside Winchester, Fleur Hitchcock grew up as the youngest child of three. She spent her smallest years reading Tintin and Batman, and searching for King Alfred's treasure. She grew up a little, went away to school near Farnham, studied English in Wales, and, for the next twenty years, sold Applied Art in the city of Bath. When her younger child was seven, she embarked on the Writing for Young People MA at Bath Spa and graduated with a distinction. Now living outside Bath, between parenting and writing, Fleur works with her husband, a toymaker, looks after other people's gardens and tries to grow vegetables.